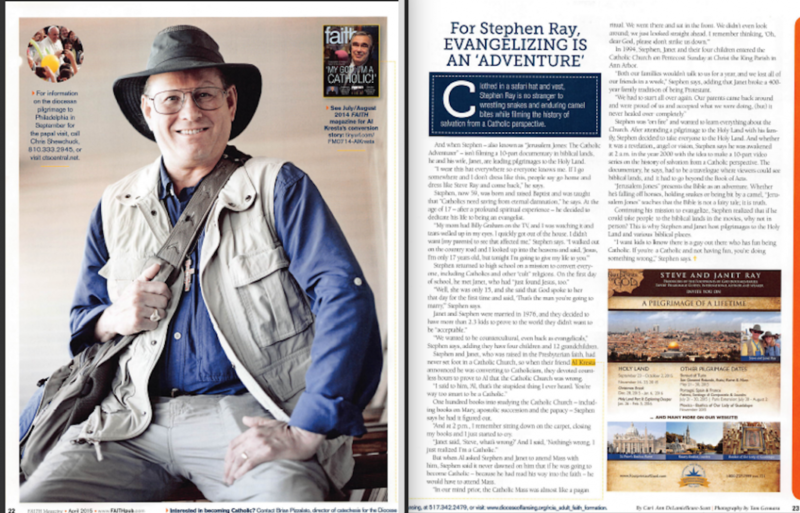 Fun Article in Faith Magazine: For Stephen Ray Evangelizing is an Adventure! Faith Magazine came out to do an interview last year and the article showed up this month (April 2016). Hope you enjoy it. Today we are ON OUR WAY to Fatima, Avila and Lourdes! Stay tuned for updates, daily videos and more. Just checked the weather forecast – see you soon! Next post: Did Catholics Invent Pilgrimages?